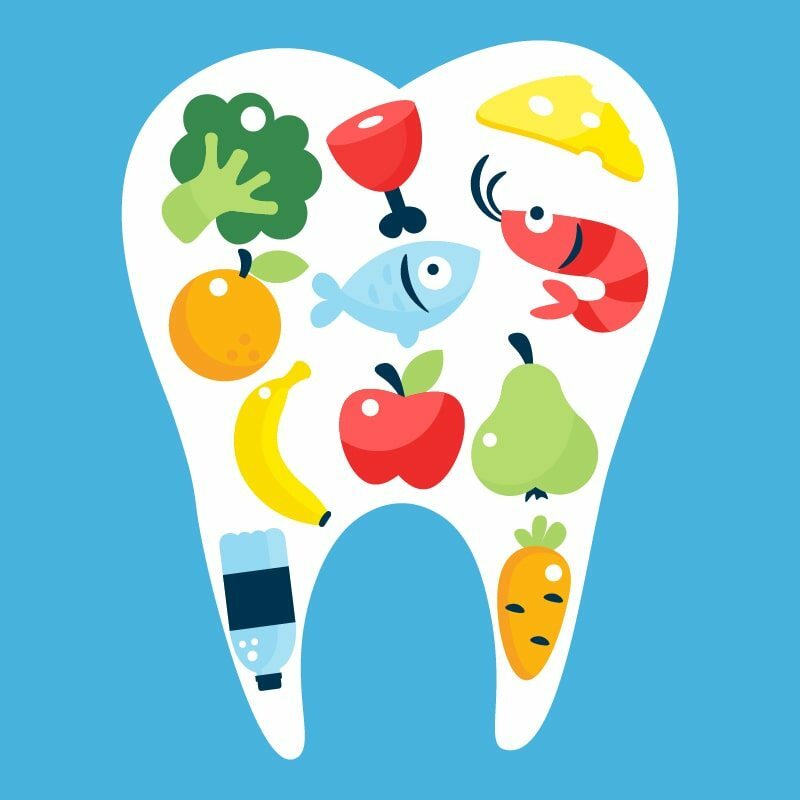 It is common knowledge that eating a healthy diet can have many benefits to your overall health, but did you know that it can also benefit your oral health? Certain foods in particular have been found to have qualities that can actually brighten the enamel on your teeth, resulting in a whiter appearance. When it comes to eating for your teeth, there are certain nutritional guidelines you can follow. Yogurt, milk, and cheese: all three of these dairy products contain high levels of calcium and phosphorous in addition to lactic acid. Lactic acid is a natural preventative against tooth decay. Hard cheese also helps increase saliva production to keep the mouth cleaner. Pineapple: This fruit is primarily associated with high water content, but it also contains bromelain. Bromelain acts as a natural stain remover and can also loosen plaque. Onions and Garlic: Both onions and garlic reduce plaque production when eaten raw. It has been found that they contain thiosulfinates and thiosulfonates, which are essential in decreasing plaque. Broccoli: This vegetable stimulates saliva production while naturally removing plaque and cleaning the teeth through its unique texture. In addition, it contains iron which protects the tooth’s enamel from acidic erosion. Strawberries: This fruit is commonly smashed up and applied to teeth for its naturally-occurring malic acid. Malic acid is a natural bleaching agent that instantly brightens teeth enamel. Strawberries are also good for saliva production. Carrots: In addition to cleaning teeth through promoting chewing, carrots contain vitamin A. Vitamin A helps to improve the health of tooth enamel. Shiitake mushrooms: These mushrooms have an antibacterial property within them. They contain a sugar known as lentinan that kills plaque-causing bacteria. Apples: This fruit, like strawberries, contains malic acid, a natural bleaching agent. They also have been found to eliminate the bacteria that cause bad breath and their texture is beneficial for saliva production and teeth cleaning. Tea: Tea has two primary components that are beneficial to oral health. The first are Polyphenols that function to reduce bacteria. The second is fluoride, which is a common ingredient in many toothpastes and has been found to improve oral health. Water: Since our bodies have such a high water content, it is important to always make sure we are adequately hydrated. Drinking water boosts saliva productions while also flushing your mouth of debris and loose plaque.